Shop for finest handmade products. 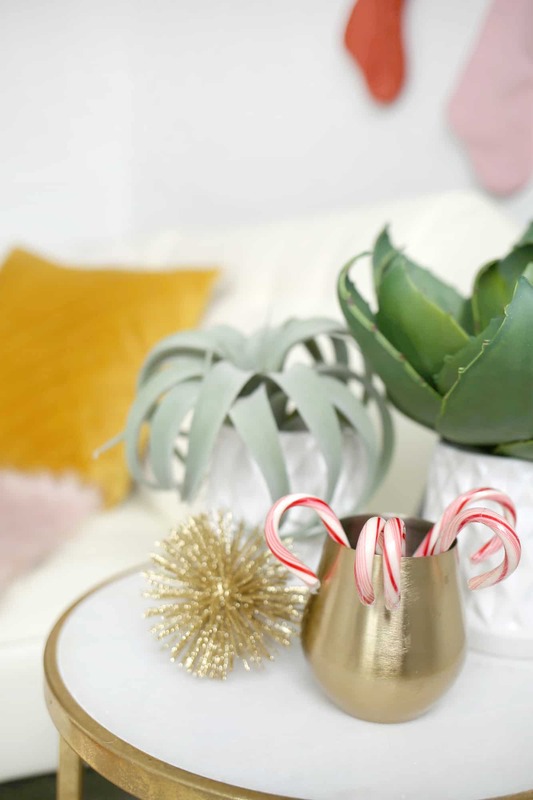 It’s that time of year when I want to up the cozy factor of my space—whether that’s twinkle lights, a faux fur throw, or super soft velvet pillows—it all makes these longer evenings a bit more magical. Plus, adding new envelope pillow covers to your space is one of the quickest ways to give your couch or bed a mini makeover. 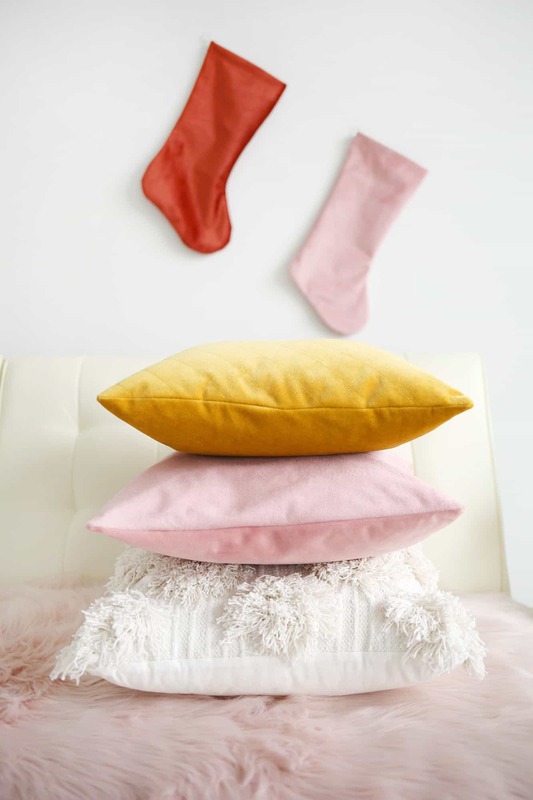 You can slip them on and off with the seasons, but you might never want to put these velvet pillows away! 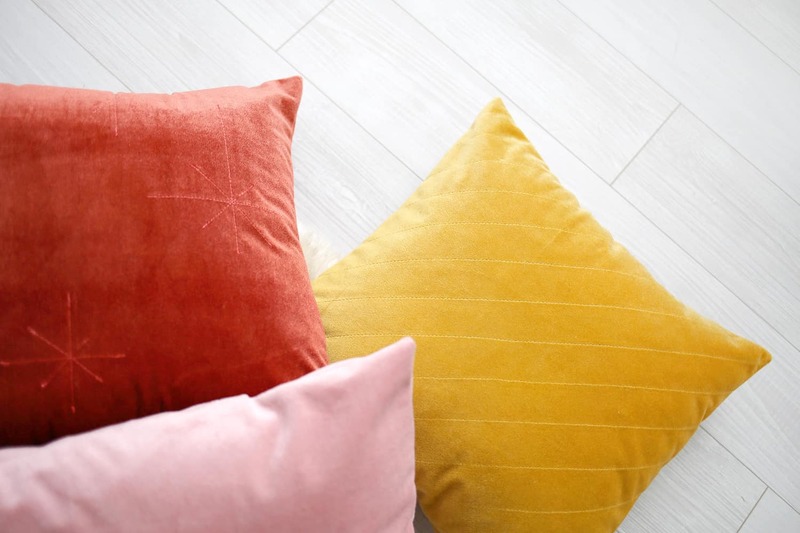 If you’ve got access to a sewing machine and can stitch a straight-ish line, you can fill your couch with these lush, quilted velvet pillows for a little more hygge this winter. Warning, you’ll want to take more naps. Since these are a bit larger, I’m going to share the process of making the gold version of the quilted lines pillow using a smaller sample. It’s a 6″ x 6″ size instead of 16″ x 16″. 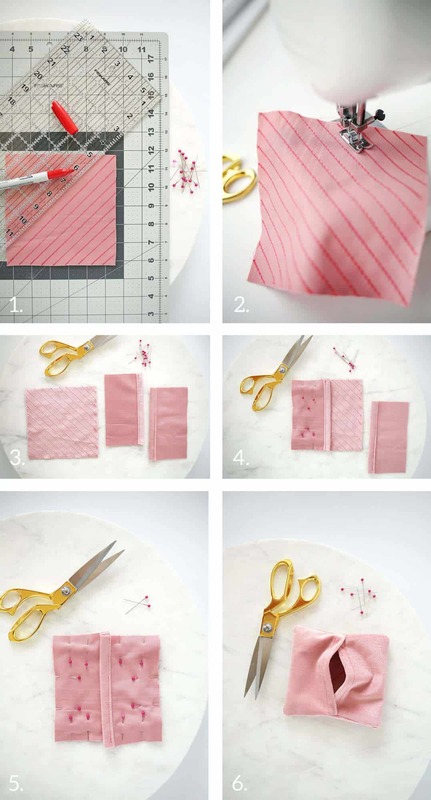 No matter what size pillow you are wanting to create, cut the fabric to be the same size as the pillow insert. You don’t want to add an inch to make it fit or it will be loose and floppy. Ask me how I know this. Step One: For a 16″ pillow, cut one piece of fabric that measures 16″ x 16″ for the front. Then cut another two pieces that measure 12″ x 16″ for the back pieces. You want your two back pieces to overlap by at least 5″. 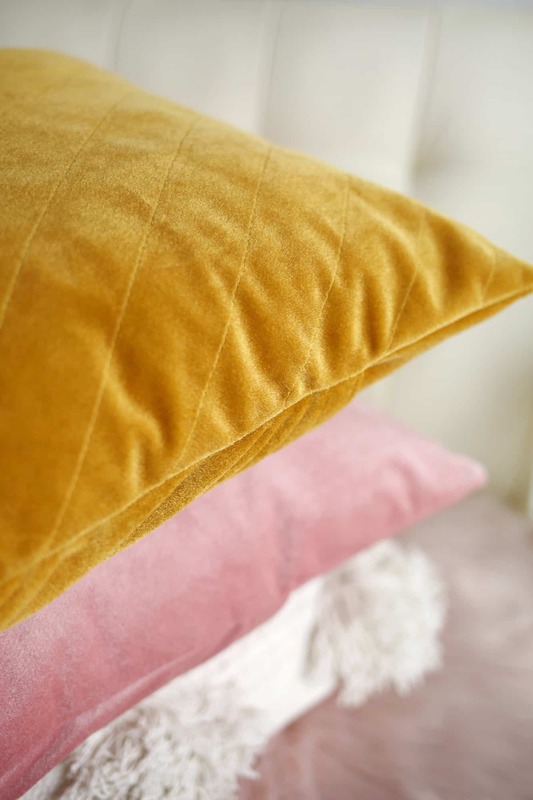 For diagonal stripes on your pillow, turn your 16″ square piece so that the velvet side is facing down. Use your acrylic ruler and cutting mat to draw straight lines as far apart as you’d like them for your design. I suggest either 1/2″ or 1″ apart. Just keep it consistent and it’ll look great! If you’d like a star design, use your acrylic ruler to draw a variety of star shapes on the back side. 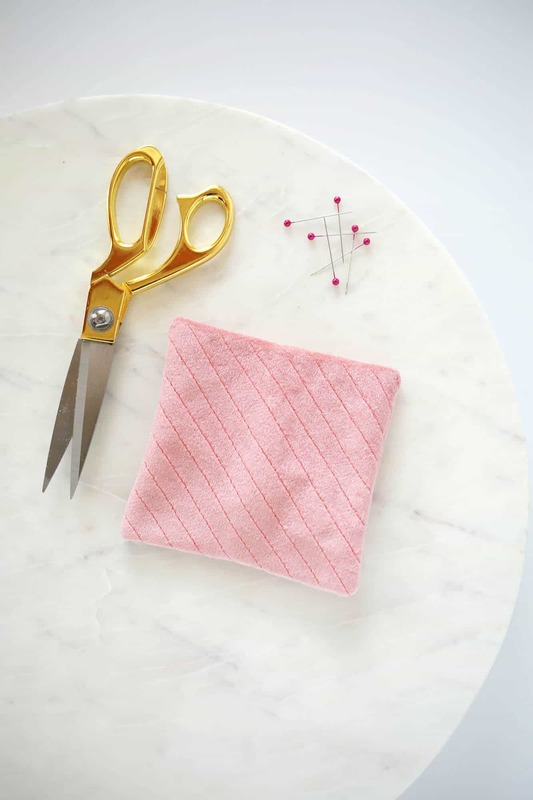 Just be sure you’re back stitching at the beginning and ending of a stitch line to keep your stitches from unraveling. Step Two: Follow your stitch lines with your sewing machine and trim up your ends when you’re finished. Step Three: For each of the two back sides, fold one of the long edges down once for a 1/2″ and then again 1/2″. Pin in place. Stitch along the folded edge. Make sure you’re folding onto the wrong side so that the right side of the fabric is showing after you’ve stitched together as shown. Step Four: Place one of your back sides on top of the front piece so that the right sides are facing each other and three of the edges are lined up as shown. Pin in place along the three edges. Step Five: Repeat with the second back side. Your hemmed edges should be overlapping a bit more than mine show in the example. Pin in place. 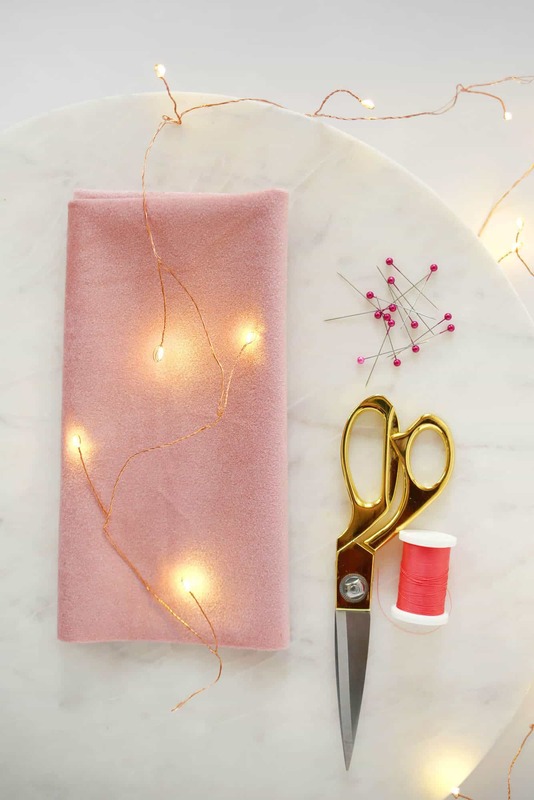 Stitch all the way around the perimeter of your pillow so that you’re stitching through both pieces as you go. Remove pins. Step Six: Turn pillow right side out, poke out the corners, and insert your pillow form. Fluff and enjoy! Credits//Author and Photography: Rachel Denbow. Photos edited with A Color Story Desktop actions.